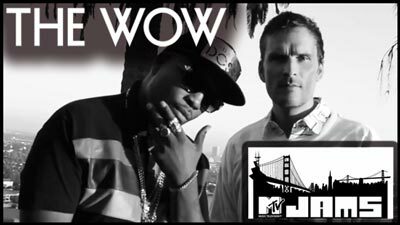 Congratulations to The Wow for securing some serious love on basic cable’s premiere rap outlet, the almighty king, MTV JAMS! Their fire hot single, “Talk My Shhh” will air across the country this Sunday (4/27) at 11am, 7pm and again at 3am. Tune in and/or set your DVR’s to catch this hard-hitting vid!